On our site you'll find a list of villas in Dalmatia at affordable prices, including guest reviews! We are pleased that you would like to spend your holiday in Dalmatia - a region that will delight you with its beautiful beaches! Through the search engine, you can specify exact number of people, type of accommodation and specific travel date. By doing so, you are one step closer to your ideal house. It's possible to book online directly through our website, or send a non-binding inquiry. Dalmatia is the southernmost region of Croatia and is divided into northern, central and southern Dalmatia. Dalmatia is famous for its particularly long pebble and sandy beaches and its proximity to numerous islands such as the popular islands of Brač, Hvar, Korčula, Vis, as well as Ugljan, Pašman and Kornati. Dalmatia offers a variety of private accommodation as well as other tourist regions of Croatia. 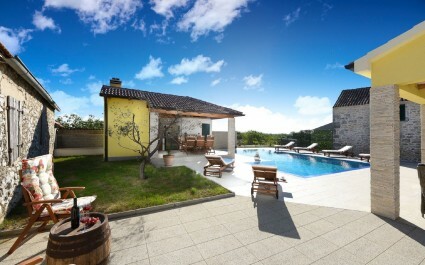 Apartments, holiday homes with pool and villas with sea view are an integral part of Dalmatia region. Spend your vacation in Dalmatia and experience their well-known carefree way of life. Dalmatia - a region that combines sea and music! Beautiful sea combined with music, trademarks perfectly northern Dalmatia as well as its cultural and political centre - Zadar. On the stone staircase of the sea in Zadar, organ waves produce melodies, and the glass panes of the sun salutation with solar energy changes color. Dalmatian cathedrals listed on the UNESCO list are a completely stone-built phenomenon. In Dalmatia you will also discover a lake whose cliffs have risen above its surrounding sea level. The Krka National Park boasts clear waterfalls that descend from the 7 travertine barriers of the Krka River. Split - a modern center for summer entertainment for teenagers! In the largest city of Dalmatia, Split, there is a Diocletian's Palace under the protection of UNESCO - where you can enjoy many concerts. Split is in a way a city of young people, where every year many music events take place - attracting thousands of visitors from all over the world. In the town of Omis, a city whose history was dominated by pirates, leads to rafting and adventure in the Cetina rive. 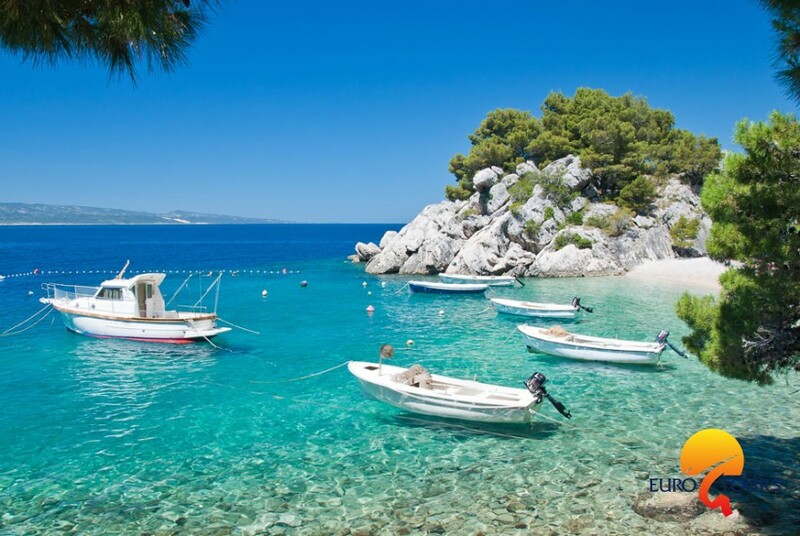 In the most famous tourist destination in Makarska there are famous beaches all along Makarska Riviera. On the island of Brac, near the most famous Croatian beach Zlatni rat - a summer escape is possible. The sunniest island Hvar is a modern summer center for young people, which houses one of the oldest theaters in Europe. An irresistible combination of culture, history and luxury - Dubrovnik! Center of Southern Dalmatia - Dubrovnik, a cultural city with almost 2 km of city walls, a number of fortresses and towers. Concerts of classical music and theatrical performances of the traditional summer games of Dubrovnik are an indispensable part of this tourist and historical pearl of Dalmatia and the entire region. Mljet is an island with its beautiful national Park where you can find two lakes that will delight you with their beauty. Southern Dalmatia and the Peljesac peninsula are known for the wine production and its irresistible taste of fresh crustaceans, whose cultivation has been a tradition since ancient times.